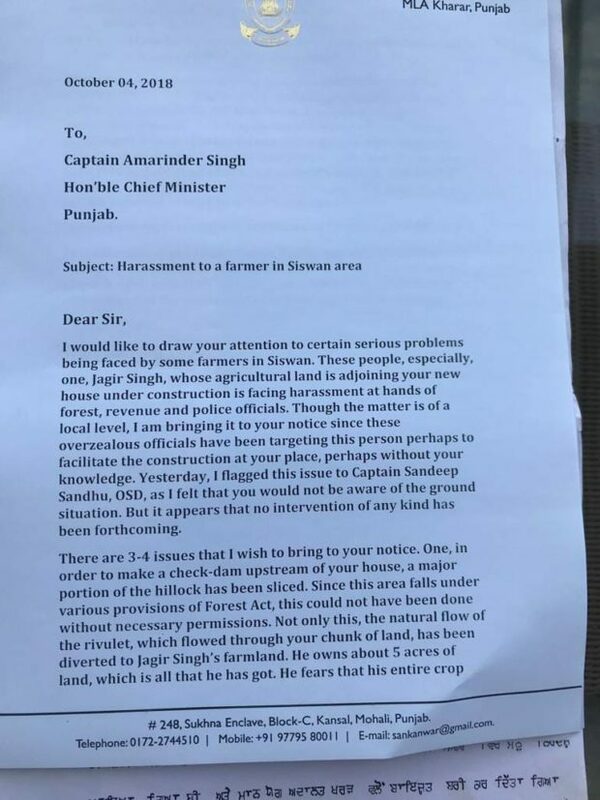 MLA Kanwar Sandhu and Sukhpal Khaira faction of AAP today has alleged that Chief Minister Capt Amarinder Singh is misusing the CM office for benefiting his own farmhouse. Talking to the media, Sukhpal Singh Khaira and Kanwar Sandhu claimed that near Siswan village at Mullanpur, Ludhiana, Captain Amarinder Singh is making farmhouse, to protect the farm from rain water, a dam is being constructed by taking money out of the government treasure. Crores of rupees are to be spent on the dam. These leaders said that the Captain government was not spending a single penny to provide the facilities to the people, on the other hand the state exchequer was being looted for their profits. Sandhu said that he has written a letter to CM office on 4 Oct 2018 but Government did not react on this for obvious reasons. He said further that government has tried his patience a lot so he exposed this fact before people of punjab.